With invasive green crabs entering Puget Sound from the north and invasive mussels discovered in Montana to the east, the Legislature will be called on to make some critical funding decisions to ward off potential invaders. 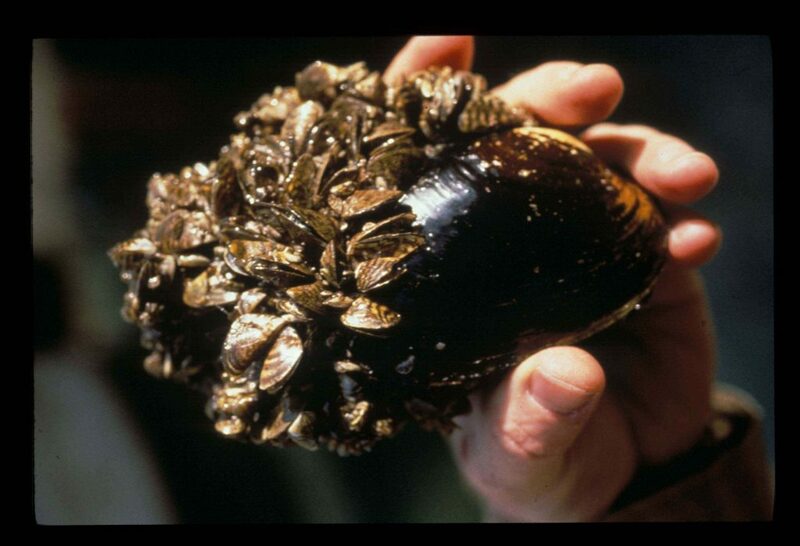 Green crabs and freshwater zebra and quagga mussels are not the only aquatic invasive species of concern. As I described in a story published in the Encyclopedia of Puget Sound, state officials worry about the potential import of all sorts of harmful species via ballast water and the hulls of vessels. To fully address the threats through prevention and enforcement, the Washington Department of Fish and Wildlife estimates that $5.2 million per year is needed. That would move Washington ahead of Oregon and Idaho in addressing the problems. Each of those states spent about $1.3 million in 2014, while California spent about $10.7 million. Washington’s current budget for dealing with aquatic invasive species is one of the lowest in the country at $900,000 a year. 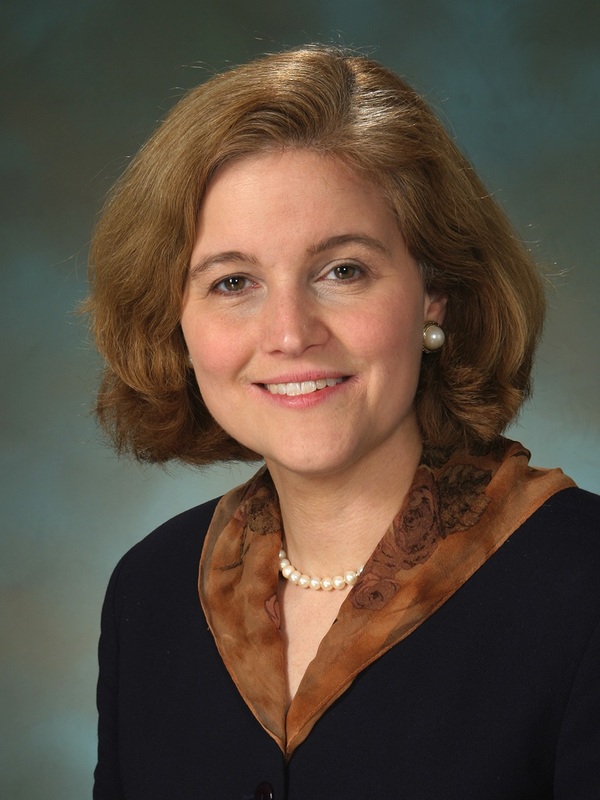 Increases in the program would be phased in over six years, increasing from $900,000 a year in the current budget to $2.3 million in the next biennium, according to a proposal to be submitted to the Legislature. It would go to $4.7 million five years from now. While funding for Washington’s “basic education” remains a potential budget-buster, some legislators are beginning to worry about a $2.4-billion financial pitfall involving culverts and salmon streams. 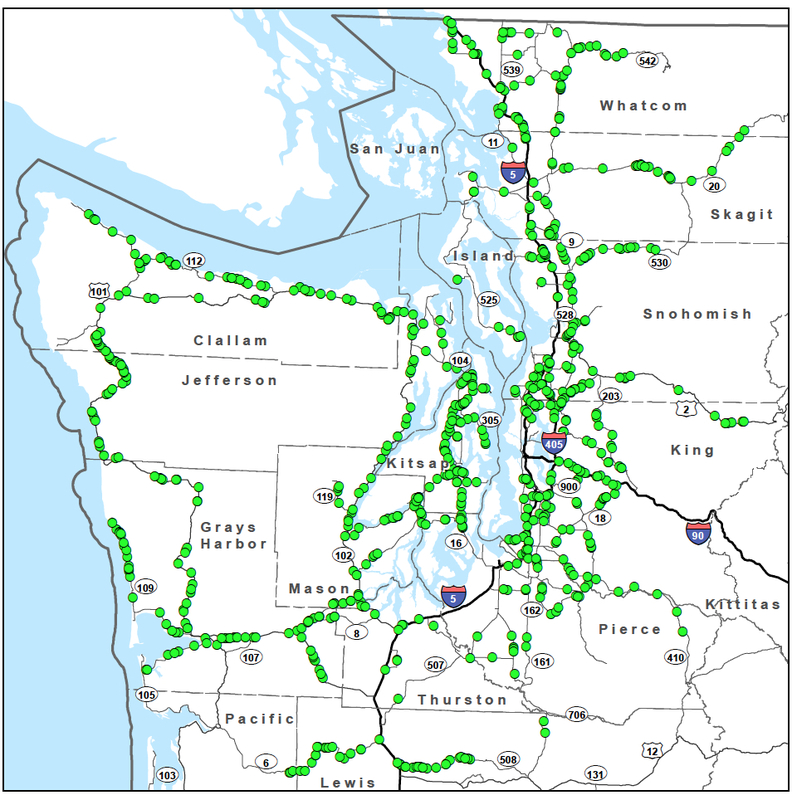 Culverts blocking significant habitat are represented by dots on the map of Western Washington. In 2013, a federal judge ordered Washington state to replace nearly 1,000 culverts that block or impede fish passage along Western Washington streams. The $2.4-billion cost, as estimated by the Washington State Department of Transportation, amounts to about $310 million per biennium until the deadline of 2030. Nobody has even begun to figure out how to come up with that much money, although the WSDOT has pretty well spelled out the problem for lawmakers. In the current two-year budget, the state is spending about $36 million to replace fish-passage barriers, according to Paul Wagner, manager of the department’s Biology Branch. That’s not including work on major highway projects. WSDOT is asking to shift priorities around in its budget to provide $80 million per biennium for fixing culverts. Meanwhile, Gov. Jay Inslee’s 12-year transportation plan calls for increasing revenues to provide money for various improvements throughout the state, including $360 million for culverts spread over the 12-year period. 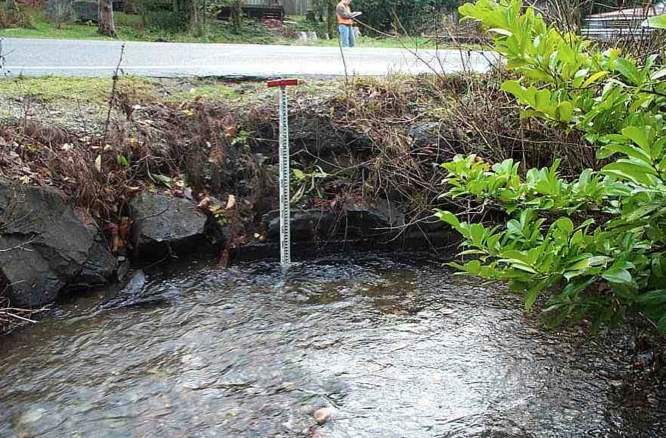 BEFORE, a 5-foot round culvert carried Twanoh Falls Creek under Highway 106 into Hood Canal. Even if all that funding comes to pass, the state would only make it about halfway to the goal set by the court when the 2030 deadline passes. 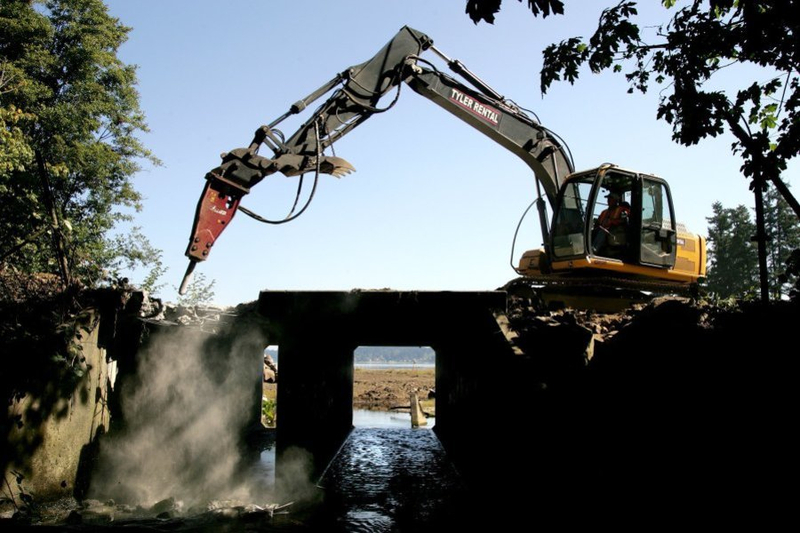 Although funding is a serious matter, the effect of fixing the culverts sooner rather than later could boost salmon habitat and help with salmon recovery, transportation officials acknowledge. Out of 1,982 fish barriers identified in the state highway system, more than three-quarters are blocking “significant” habitat — defined as more than 200 meters (656 feet). 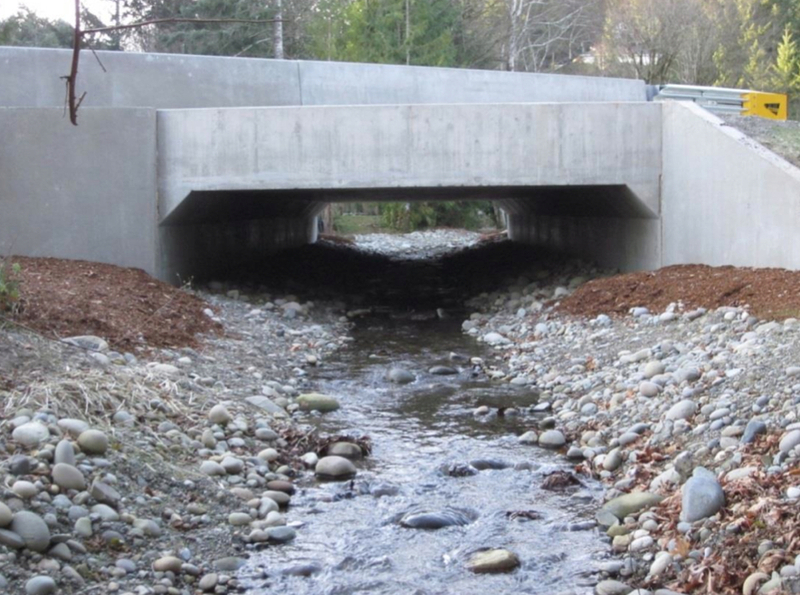 That’s from a fact sheet called “Accelerating Fish Barrier Correction: New Requirements for WSDOT culverts” (PDF 4.6 mb). AFTER, a 20-foot bottomless culvert allows the stream to flow more naturally. As of 2013, the agency had completed 282 fish-passage projects, improving access to nearly 1,000 miles of upstream habitat. Another 10 projects were added in 2014. Because the lawsuit was brought by 21 Western Washington tribes, the court order applies to 989 Western Washington culverts, of which 825 involve significant habitat. 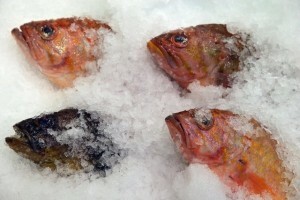 The case is related to the Boldt decision (U.S. v Washington), which determined that tribes have a right to take fish, as defined by the treaties, and that the state must not undermine the resource. The court adopted a design standard for culverts known as the “stream simulation” model, which requires that the culvert or bridge be wider than the stream under most conditions and be sloped like the natural channel. In an effort to gear up for culvert work, the Department of Transportation established four design teams to prepare plans for 34 fish-passage projects for the next biennium and scope out another 75 projects. State officials hope that by having teams to focus on culverts and bridges, design work will become more efficient. Agencies also are working together to streamline the permitting process. In Kitsap County, the Highway 3 culvert over Chico Creek presents a real challenge for the department, Paul Wagner told me. 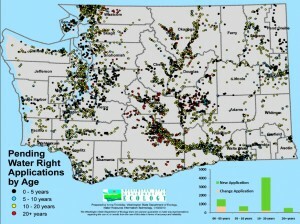 Everyone recognizes the importance of Chico Creek, the most productive salmon stream on the Kitsap Peninsula. But replacing the undersized culvert with a new bridge would cost more than $40 million — more than the entire budget for culverts in the current biennium. A culvert on Kittyhawk Drive was removed last summer next to the Highway 3 culvert, which continues to affect the flow of Chico Creek. Not only are the state highways the largest, he said, but they usually cannot be shut down during construction. State highways typically have more complicated utilities and drainage systems, and work may require buying new right of way. Those are all issues for Chico Creek, which was rerouted when the highway was built in the 1960s. The stream was directed into a new channel parallel to the highway, crossing under the roadway at a 90-degree angle. The new design would restore the original channel, crossing under the road at a steep angle that makes for a longer bridge. The new route also could involve changing the interchange at Chico Way. Removal of a county culvert under Kittyhawk Drive has increased interest in removal of the state highway culvert, which lies immediately upstream of the newly opened channel where the county culvert was removed. See Kitsap Sun (subscription), Aug. 26, 2014. The Legislature will determine how much money will be allocated to culverts and to some extent which ones get replaced first. New taxes could be part of the equation for the entire transportation budget, a major subject of debate this session. 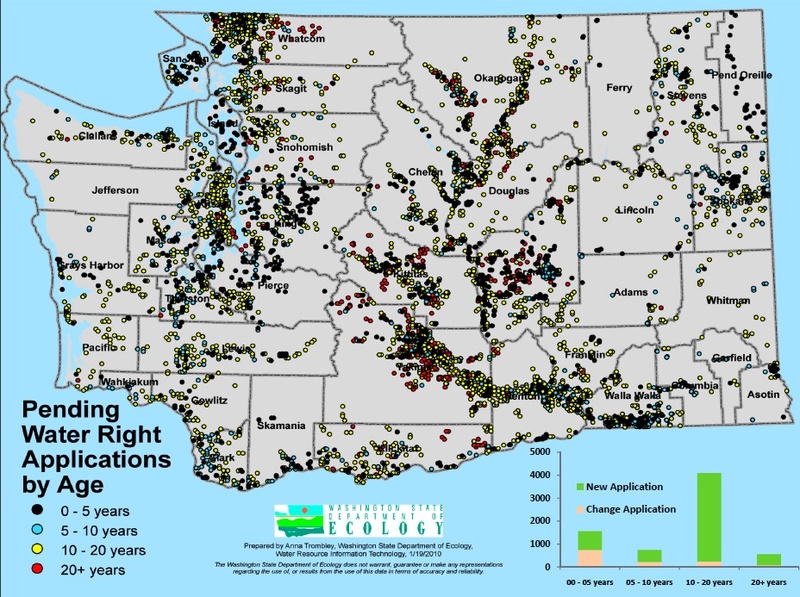 Washington water rights: Will the logjam be broken? When it comes to water rights in Washington state, it seems to me that the Legislature is trying to sell survival suits on a sinking ship. Because of budget problems, the Legislature last year slashed 25 percent of the Department of Ecology’s staff in the program that studies water resources and issues water rights. As you can see from Ecology’s map at right (click to enlarge), more than 7,000 water rights are pending, and the backlog is growing. The latest move is to expedite applications where groups of people are willing to pay for studies to determine if water is available. Reporter Chris Henry wrote about the approved Senate Bill 6267 in yesterday’s Kitsap Sun. The new law allows a group of water-rights applicants to get together and pay for the studies needed to process water rights for a given area. Anyone not willing to contribute to the study must wait in line for Ecology to get around to processing their water rights. So the new law works well for water utilities, which have enough money to pay for the studies. It may or may not work well for farmers and others who have limited dollars, depending on their share of the costs. Yesterday, I talked about living through a period of confusing budget-shifting. I mentioned how federal economic stimulus money is being used for public works projects — such as building a new sewer system in Gorst and a new water-treatment plant for Bremerton. Today, I’d like to reflect on a couple of small hazardous waste cleanup projects and some juggling involving hundreds of millions of dollars in state cleanup funds. In years past, the Washington Department of Ecology signed agreements with property owners dealing with hazardous chemicals that had leaked from underground tanks on their property. The owners were required to pay what they could, although some were not able to pay anything. Ecology might then lead the cleanup, using funds from the state’s Model Toxics Control Account. That account derives its funds from a tax on petroleum products, pesticides and other specific chemicals. The federal economic stimulus program has provided $3.4 million for such leaking underground storage tanks in Washington state. As I reported in the Kitsap Sun this week, work is beginning on a renewed cleanup at Country Junction Store in South Kitsap while a proposed plan would clean up soil near Hansville Store in North Kitsap. These are both small, community stores whose owners signed consent agreements with Ecology years ago. It just so happens that the Washington Legislature has been taking money out of the state’s toxics account to help balance the state’s general fund budget. While experts continue to argue about the quality of research regarding bisphenol-A, some politicians in Washington state are ready to leap into action. Bill have been submitted to both houses of the Legislature, and a hearing is scheduled for Wednesday, as reported by Phuong Le of The Associated Press. The debate focuses on the toxicity of this chemical and whether enough of it leaches out of plastic baby bottles and other containers to be harmful. Heating, for example, is known to increase the amount that moves out of the plastic and into the liquid. With more than 100 studies out for review, BPA was one of the most studied chemicals last year, according to “Living the Science,” which published a list. After all that, the debate is more intense than ever. It will be interesting to see how deeply the Legislature digs into this issue, given other concerns on the agenda. At least 13 states and Congress are considering action to ban BPA for various uses, but so far nobody has done so. The U.S. Food and Drug Administration has concluded that the chemical is safe, but many scientists have questioned the FDA’s conclusions. If any of you readers has delved into this issue deeply enough to offer an opinion, feel free to comment here. It seems to be a difficult case of balancing the evidence and trying to measure the risks accurately. Here are a few entries I’ve written about the subject: Oct. 20, 2008; Aug. 29, 2008; and April 11, 2008.